Question: Is it the owner of the heritage property that owns the whole heritage asset or does the asset (heritage listed property or property in a conservation area) really belong to the community? If this is the case, then the owner is merely the custodian who is simply caring for the building on a temporary basis. Does the government own the property – even if it is in private ownership? It has rights of resumption, so technically, it can resume the listed property on fair terms if infrastructure such as West Connex is imposed in the area. Perhaps the true owners are the future generations that will ultimately inherit the asset. The answers to these questions are highly technical and generate different types of management policies befitting the nature of the resolution. For instance. If property owners are merely custodial tenants of the asset, then their powers are somewhat reduced. They would be restricted from making overt changes to their buildings on the grounds that they are merely there on a temporary basis and should not be afforded a greater stake in decision-making than that granted to the community. If a management system deems that the owner has an untrammelled right to modify their heritage asset then it may be construed that such owners have greater rights relative to the community and future generations which could be taken as being rather unfair and inequitable. By the same token, how can it be said that the community has any special right over the property when (a) it does not own the asset and (b) it does not contribute directly to the maintenance of the asset in monetary terms? Yet, it is the community who technically gets the benefit of the heritage asset and heritage assets at no cost to itself. Last weekend I was at the Rocks for the Smooth FM chocolate festival (https://www.smooth.com.au/smooth/festival-of-chocolate ) and noticed how many people were present at the various food outlets, milling around in the closed off streets with the wonderful heritage backdrop of beautiful Georgian and Federation buildings, cobbled streets, small scale buildings, traditional materials of brickwork, sandstone and slate - general fanfare and bonhomie. Such an event could only have taken place in a heritage setting such as The Rocks and it occurred to me at that event that the heritage assets surrounding and contextualising the event were wholly owned by the community. However, such is the shared nature of heritage. It is indeed both a private asset and a public good. It belongs to the owner as well as the community and this is where government comes in. Governments’ role is to manage the asset by striking a balance between the private right to develop land and the public interest. How well it does this comes down to skill, training and policy formation. Not so far away from The Rocks, is Millers Point and as we know, many of the previously government-owned heritage places have recently been sold into private ownership. The project is being managed by the Office of Environment and Heritage which is struggling to strike such a balance. 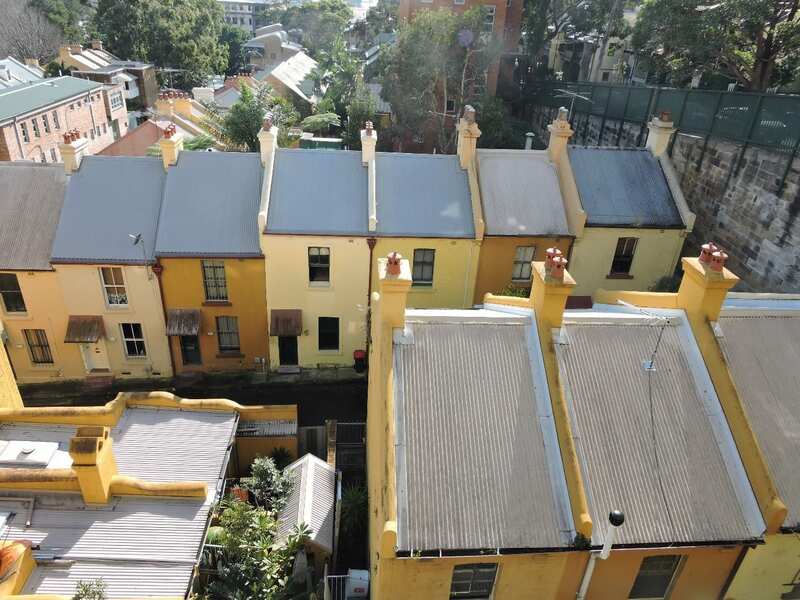 Owners who have paid millions for their assets are being told by the Office that very little in their 1840s to 1890s terraces can be changed. There are many restrictions placed upon them and they feel so vexed that they have formed lobby group to petition the government for change. It is not an easy situation to have to deal with because on the one hand, the owner of any house or building should be granted rights to make the place suitable for their individual needs and on the other, one has to think of the unique value of the asset as a heritage item. I pity both the owners and the Heritage Office and can see that it would be a tricky situation to have to resolve. The Millers Point example sheds light on the fractious dimension of cultural built heritage and deciding who really owns it is the means by which management policy ultimately manifests itself. Some systems are a lot more successful than others. The more successful ones are those in which incentives are created for owners who by being granted such incentives would then have to give back a greater share of the asset to the community by either opening their house to the public on certain days or spending the grant money on conservation, repair and maintenance – for the benefit of the community and by implication, for the benefit of the ultimate owners – the future generations which stand to inherit it.